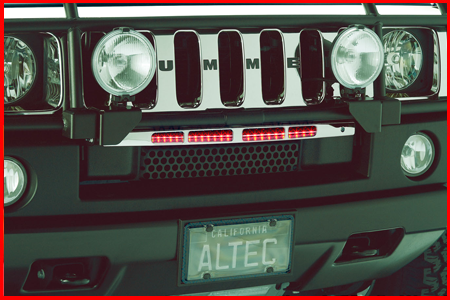 Hummer - Altec Products Inc.
Our distinctive chrome front grill bar is equipped with super bright LED lights to enhance the front of the H2 Hummer. Please call 1-800-797-9035 to order or for more information. 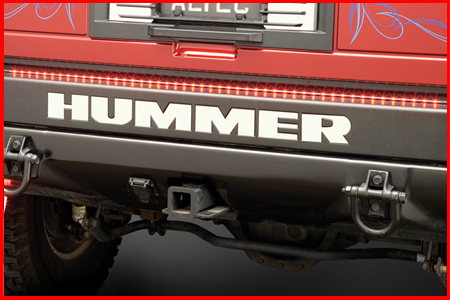 These rear Hummer mud flaps with LED lights are an instant bright spot for the back-end of any Hummer. The dual tiered, brushed 304 stainless steel with show chrome and rubber constructed lowers, offer protection with style. Please call 1-800-797-9035 for more information. 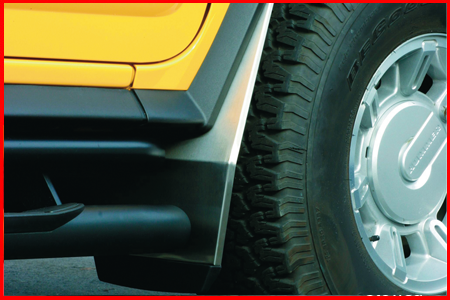 Our front Hummer mud flaps are brushed 304 stainless steel with rubber molded lowers that offer protection with style. 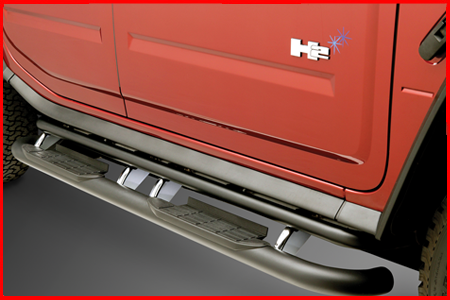 Our eight piece classy show chrome bracket covers really dress up the OEM running boards. Set of 8 composite polymer Chrome Plated covers with 3m tape and instructions. Our one piece license frame offers raised 3D ribs with polished stainless steel trim panels. 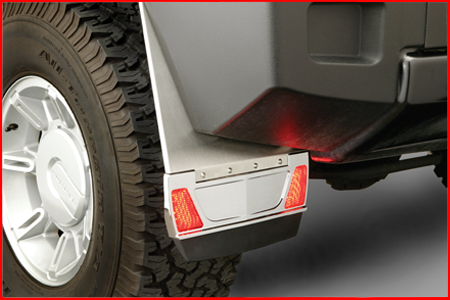 Acts as running lights, brightens as additional brake light and flashes when turn signals are activated. 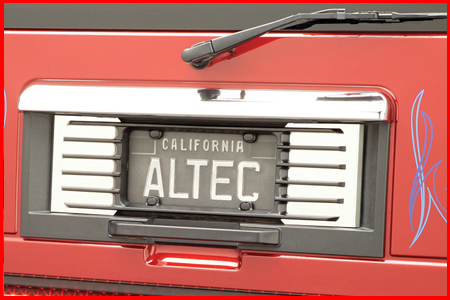 © 2013 Altec Products Inc.